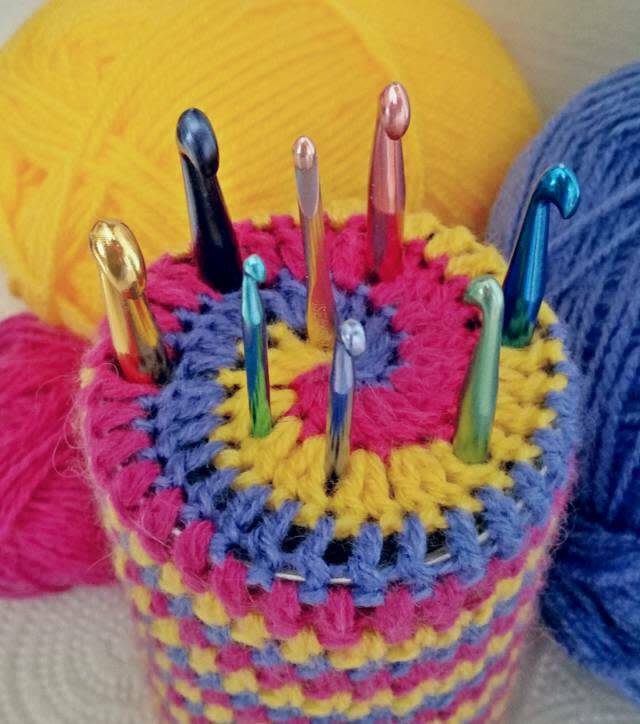 While perusing the internet, I saw the concept of using a crochet-covered can for a hook holder/organizer and I thought I’d give it a “whirl” (sorry, I couldn’t resist!). Anyway, I decided on a spiral design so that a person could put their smaller hooks near the middle and work outward as the hook sizes increase. For the can I just used a regular vegetable can…. Part 2: It's About Time!